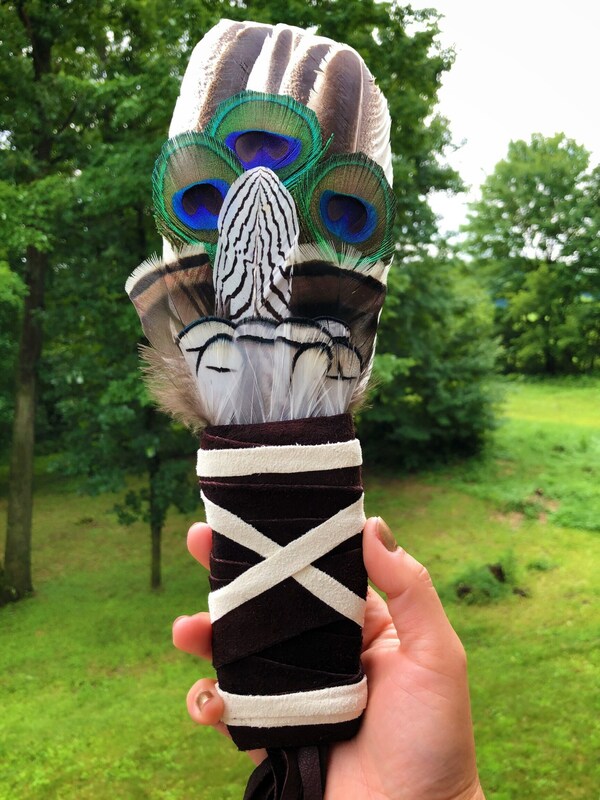 Authentic Native American feather fan. 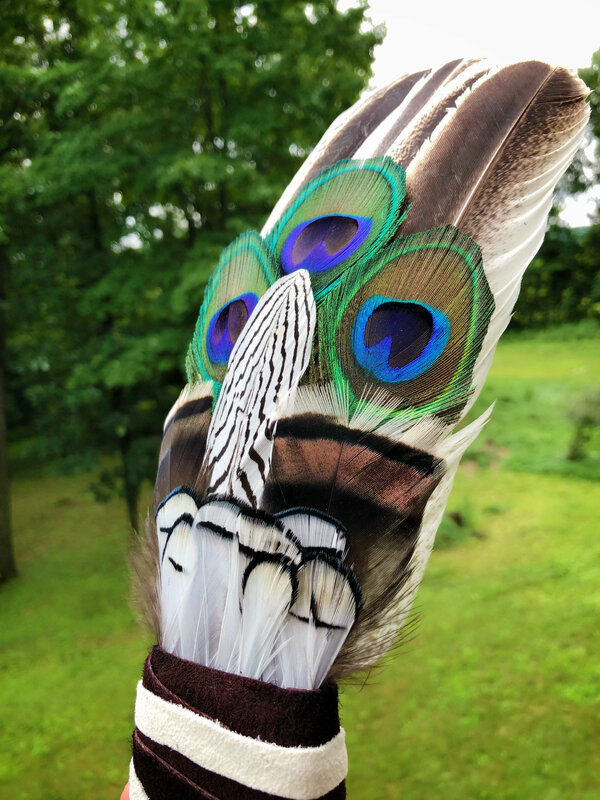 This fan is made with a buckskin wrapped handle, turkey feathers, pheasant feathers, and peacock feathers. Total length from tip to bottom of fringe is approximately 28". 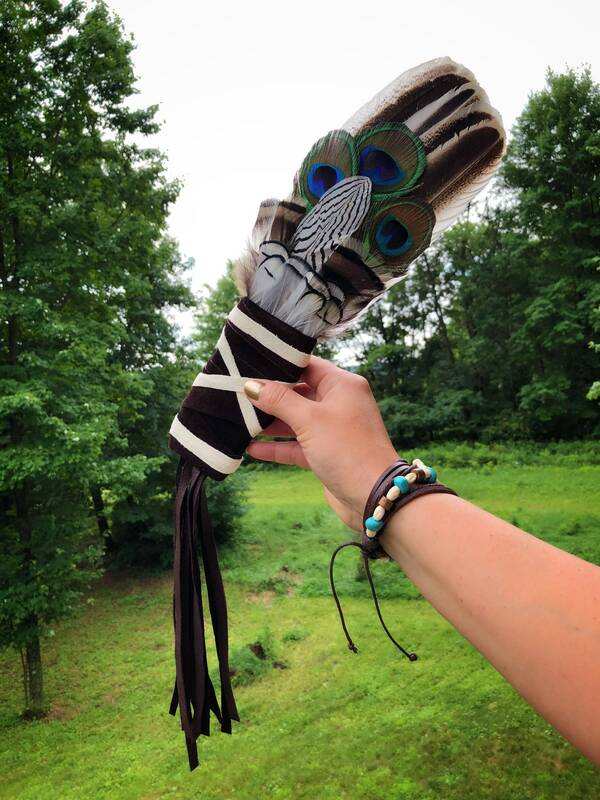 This fan can be use as a dance fan, prayer fan, smudge fan, or decor. Sage blessed with traditional Lakota prayer.